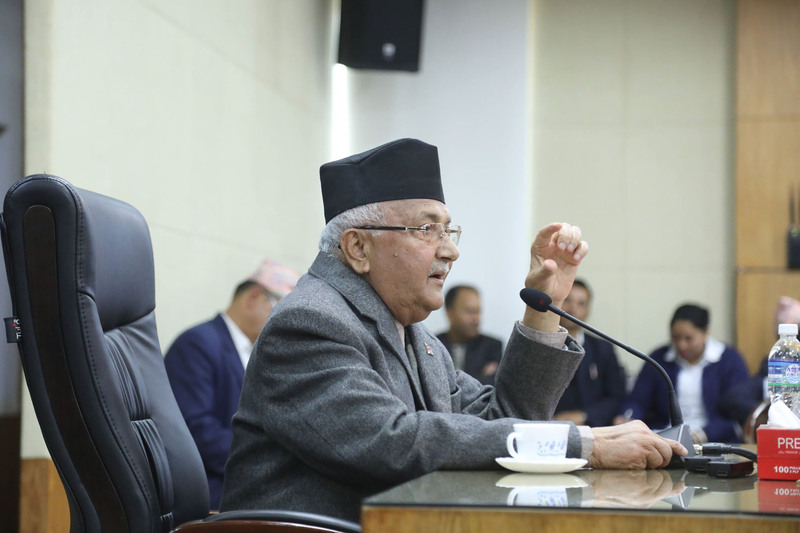 KATHMANDU: Prime Minister KP Sharma Oli has said that there shall be no interference in the Policy Research Foundation (Think Tank) from the government. Addressing the inception meeting of the Foundation in Singhadurbar today, the PM said that the government would support the Foundation from all sides adding that it was formed with the objective to bring the research-based and fact-based issues to the notice of the government for the nation's policies formulation. "Where is the place to interfere the report unveiled by doing independent research by the Foundation?" the PM asked. 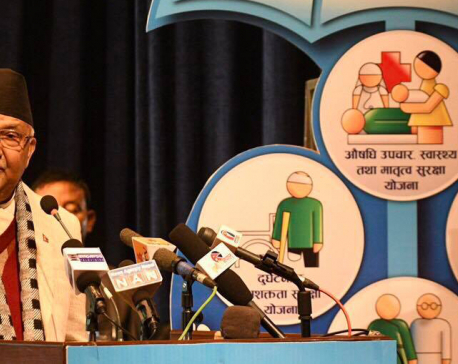 The government will accept the report with recommendations in the areas of necessities, PM Oli added. Likewise, the PM expressed his displeasure for slow progress in the country's development pace and said that the development could not happen as expected in the past nine months after the formation of the incumbent government. During the meeting, some ministers and secretaries of different ministries were present. Similarly, the PM argued that policy-level problem is the major reason for hindering the speedy pace of the development construction works. "The policies hindering the development process should be mended wherever they are," according to the PM. On the occasion, he urged the Policy Research Foundation to overview the entire policies by coordinating with the ministries, National Planning Commission and universities. "The government has taken the policy to take and give maximum outputs in low costs. Our concern is good-governance and development. 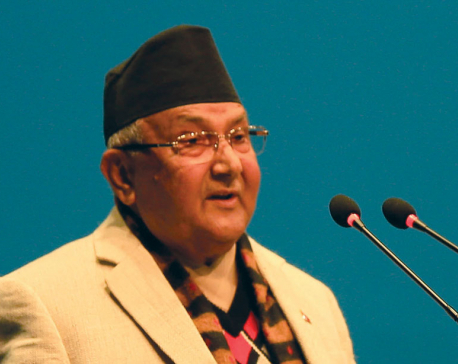 Contribution of all is needed to support this," PM Oli said seeking supports from the Think Tank Group.